Busch Gardens likes to keep changing things up. There are now four membership options – basic, unlimited, premium and platinum. Keep reading for all the Busch Gardens discount coupons information. The standard single day admission is $90 for ages 3+. There are several Busch Gardens Discount Coupons available right now! Make sure to order online to get the best price and to save time at the gate! We’ve also included some of the Busch Gardens Tampa coupons below to help you save on the Florida park as well. Save $25 on a 1 day visit – Enjoy one day of rides, shows and more at Busch Gardens with coupon code bgwoffer at checkout. Don’t forget about the Free Busch Gardens Preschool Pass for children ages 3-5 and Busch Garden Military Discount – Free Admission for Our Military! The Tampa Bay normal park admission price is $104.99 if purchased at the park. See below for all the Busch Gardens Tampa coupons. FREE Preschool pass for kids 5 years old and younger! FREE admission to Busch Gardens Tampa Bay and SeaWorld Orlando throughout all of 2019. Registration required. Follow this link to get free child’s admission to Tampa Bay with every paid adult with hotel package. 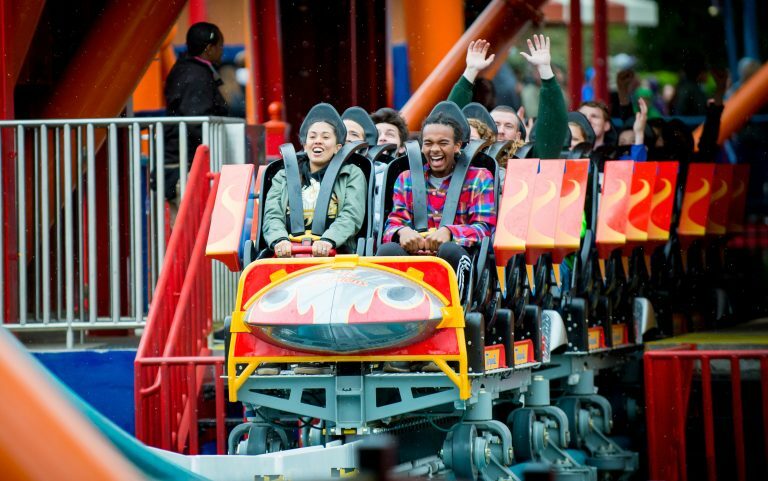 Have you found other Busch Gardens Discount Coupons? Please share with us! Want to learn more about Busch Gardens? See my tips on How to Maximize Your Visit to Busch Gardens Williamsburg. Busch Gardens Williamsburg has changed their entire ticket structure for the 2018 season with the exception of single day tickets. If you already have an active Annual Pass, Do nothing and keep it with its current benefits. OR Move to a new Membership Plan and enjoy more benefits. For those of you who don’t already have an active Annual Pass membership or you want to upgrade, there are now three membership options. 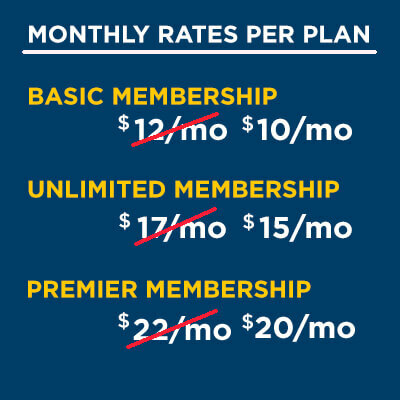 The basic, the unlimited and the premier membership. Each has it’s own perks or exclusions, so think carefully before you purchase. I do like that it’s for both parks. There is an option to get on the monthly payment plan. I always recommend paying the full price and not getting sucked into the reoccurring monthly membership. 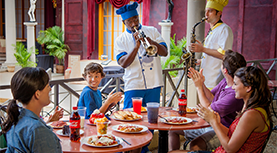 The basic membership gives you access to Busch Gardens and Water Country USA on select dates. You will get 50% off parking. If you previously had season passes, this is different. NO free parking with this pass (regular parking price is $16). The pass still includes Howl O’ Scream but again there are only select dates. This pass now includes Christmas Town as well (yay!) but again there are blackout dates. The membership includes the same guest ticket discounts, sneak peaks and in park discounts. Due to the blackout dates, think carefully about this membership. 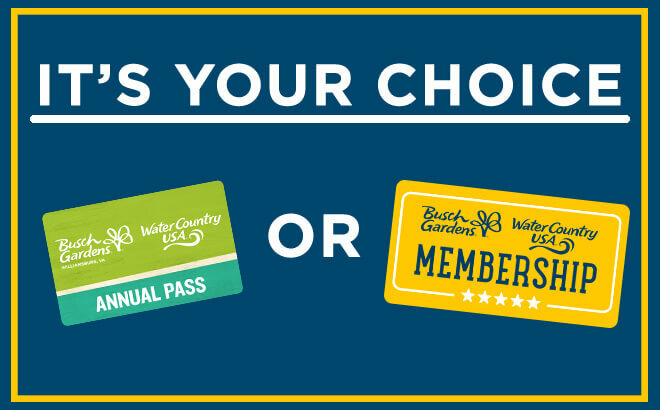 I’d keep your current annual pass if you already have one and not “upgrade.” But that decision will be determined on several factors such as your budget and if you’d use the Water Country benefit. The unlimited membership gives you unlimited admission to Busch Gardens Williamsburg and Water Country USA without the blackout dates. You can FREE general parking with this pass. You’ll get free admission to Howl O’s Scream and Christmas Town with no blackout dates as well. You’ll also get two free tickets annually, discounts on additional tickets, member sneak peeks and in park discounts – the same as if you have a season pass. The big takeaway here is the addition of Christmas Town plus both parks. The other features are the same as the old Annual Pass. The unlimited membership gives you unlimited admission to Busch Gardens Williamsburg and Water Country USA as well as 9 other parks. The parks include: Busch Gardens® (VA, FL), Water Country USA® (VA), SeaWorld® (FL, TX, CA), Aquatica SeaWorld’s Waterpark™ (FL, TX, CA), Adventure Island® (FL) and Sesame Place® (PA.) You can FREE preferred parking. As well as FREE admission to Howl O’s Scream + Christmas Town with no blackout dates. You’ll get free admission to Howl O’s Scream and Christmas Town with no blackout dates as well. You’ll also get three free tickets annually, discounts on additional tickets, member sneak peeks and in park discounts. The introductory rates are valid through March 31st. The prices WILL go up! 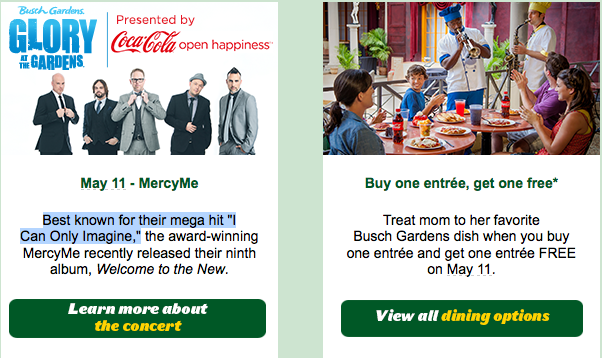 Here is a new Mother’s Day Busch Gardens Williamsburg Coupon offer – B1G1 Free entree! Treat mom to her favorite Busch Gardens dish when you buy one entrée and get one entrée FREE on May 11th only. MercyMe best known for their mega hit “I Can Only Imagine,” will be performing that evening as well. Need passes? See all the available Busch Gardens Discount Coupons before you go! *Free entrée is based on equal or lesser value of purchased entrée and value is up to $17. Free entrée does not include beverages, sides or desserts. No other discounts apply. Cannot be combined with any other offer. Offer not available at Dine with Elmo & Friends® and La Cucina. Park admission is required. Concert is included with park admission. Dates and acts are subject to change and/or cancellation without notice. Event seating is available on a first-come, first-served basis. To be sure you get a seat – general concert seating tickets are available free-of-charge on concert days at Guest Relations (Zone C).